When it comes to finding the name of a professional Wilmington roofing contractor you can count on to handle any and all of your roofing service needs, local home and business owners alike know that the premier name in trustworthy service is The Roof Maker. For over twenty years, our team of professionals Wilmington roofing contractors have been providing local home and business owners alike with the high quality roofing services they need to keep their home safe, secure, and comfortable for themselves and their families. Are you looking for a professional Wilmington roofing contractor who can help you with all of your roofing maintenance, repair, and replacement needs? If so, give our team of skilled professionals a call today and let us show you the kind of quality service that has helped to make us the premier name in quality roofing services throughout the local area. Here at The Roof Maker, we are proud to be known as the premier roofing contractor for the Wilmington area, and this isn't a reputation that we take lightly. We understand just how important your roof is to the overall safety and security of your home, and as such, we strive to ensure you always have access to the fast and accurate services you need to resolve any issues that might arise. Whether you are looking for roofing maintenance, repairs, or even a total roofing replacement, our team of skilled professionals have you covered. If you have any questions about our full line of high quality roofing services, or if you would like to schedule an appointment for consultation with one of our specialists, give us a call today. Our team of experts are standing by and would be more than happy to assist you in any way we can. Your roof is easily the most important surface on your home, and as such, you want to be sure that you are getting your roof the repairs it needs, as it needs them, to stay in the best shape possible at all times. 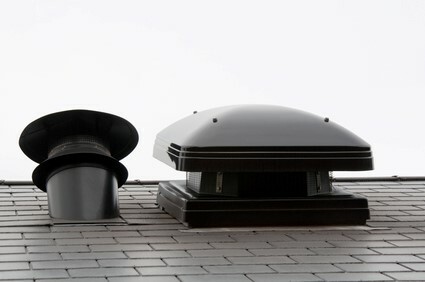 Even the smallest roofing damages can start to worsen and spread to other areas of your home over time, which makes it extremely important to stay on top of them and have them fixed as soon as possible. Here at The Roof Maker, our team of skilled professionals can provide you with the high quality roofing repairs you need to keep your roof secure and your home well protected at all times, no matter how severe the damage might be.